Welcome home to this amazing 4 bed, 3 bath, 2,119 sq ft home in Rosharon, TX! Wonderful entry way onto a office area. Cozy living room with fireplace. Lovely kitchen features plenty of counter space and lots of cabinets. Breakfast nook area. Master retreat features a luxurious tub and walk in shower. Huge secondary rooms and media area. Spacious backyard. Be sure to schedule your showing and make this your next home today! Charming 4 bed, 2 bath, 2437 sq. ft., 2 story home in Richmond, TX! Open and spacious floor plan. Wonderful kitchen with lots of cabinets & counter space and huge walk in pantry. Breakfast area. Cozy living room with fireplace. Master suite features dual sinks, luxurious tub and walk in closet. Big backyard, covered patio and roomy utility room! Schedule your showing today! Professional managed by Pathlight Property Management, the exclusive properyt manager for Home Partners of America, offering excellent customer service, 24/7 emergency maintenance service, online application and payments, and pet friendly options. Amazing 4 bed, 2.5 bath, 2872 sq. ft. home in Richmond, Tx! Open and spacious floor plan. Gorgeous kitchen with tons of cabinets, lots of granite counter space and breakfast area. Opens to cozy living room with soaring ceilings. Formal living or dining area. Master suite features dual sinks, luxurious tub and separate shower. Backyard oasis features sparkling pool! Be sure to schedule your showing today! Spacious home conveniently located near shopping, restaurants and schools. Soaring ceiling in the family room with grand fireplace! Home has generous size master bedroom with great natural light! Kitchen flows into Dining Room! Lush landscaping enhances frames the exterior of this home! This beautiful 4 bedroom 2.5 bathroom home is located in Alvin ISD. Neighborhood is just off 35. 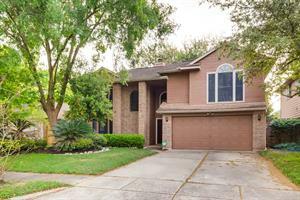 Minutes away from Friendswood, Baybrook Mall and Hwy 6. Open floor concept with high ceilings. Kitchen has granite countertops and stainless steel appliances. Master is located downstairs with en suite that has dual sinks, separate shower/tub, and walk in closet. Game-room, 3 secondary bedrooms and bathroom located on second floor. This home has it all! !